Diarrhea Planet runs wild in Fla.
Photo Credit; Wrenne Evans for Grandstand Media and Management. 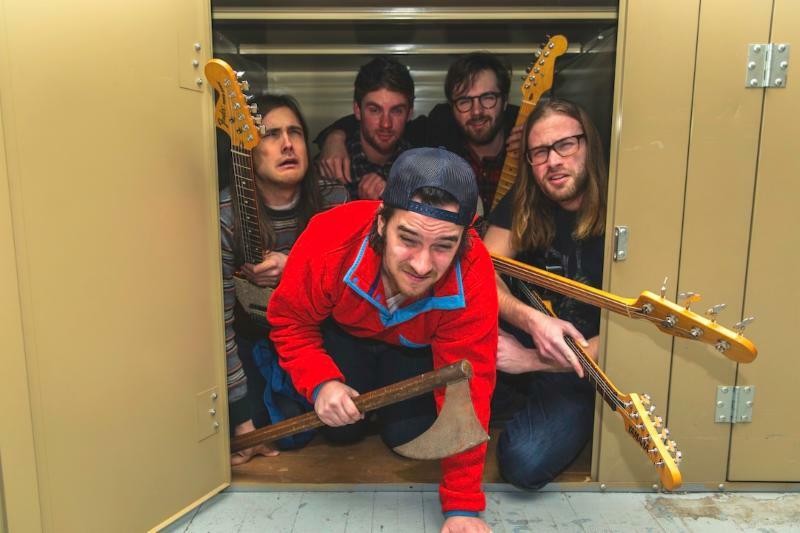 Fla.—Diarrhea Planet plans to let loose in Fla., from April 12 through 17. The Nashville, Tenn.-based group are set to unleash a series of performances at Hi Dive in Gainesville on April 12, Burro Bar in Jacksonville on April 13, Crowbar in Ybor City on April 16 and Pugs Live in Tallahassee on April 17. On Sept. 15, 2014, KEXP hosted an in-studio session of one of Diarrhea Planet’s concerts via National Public Radio (NPR). The clip for “Lite Dream” can be accessed by clicking here and the full 20+ minute performance of their set can be seen by clicking here. then Nashville's Diarrhea Planet have the greatest show on Earth." During the fall of 2014—Diarrhea Planet released their EP called “Aliens In The Outfield” and it followed their critically acclaimed album, “I’m Rich Beyond Your Wildest Dreams”. Stereo Gum critiqued the album and cited, "If Aliens in the Outfield serves as any indication, Diarrhea Planet should continue to melt faces while still infusing subtle lyricism into their shredding three-minute jams." exactly the sort of album that suggests that the band would be ridiculously fun live." "The sheer energy that pulses through its second album, "I'm Rich Beyond Your Wildest Dreams" (Infinity Cat), feels young, though not exactly juvenile. A sweaty, sweaty rock band with four people playing guitar, this group resides somewhere near the intersection of Weezer and Ted Nugent"
April 12 - High Dive, Gainesville, Fla.
April 13 - Burro Bar, Jacksonville, Fla.
April 16 - Crowbar, Ybor City, Fla.
April 17 - Pugs Live, Tallahassee, Fla.
Sareth Ney is a concert journalist for the Wu-Man Chu Chronicles. It is a division of A Quarter and Dream Pictures. He earned his Bachelor of Science degree in Mass Communications and Center for New Media from Colorado State University-Pueblo. After graduating—he continued his four year apprenticeship with master of horror, Clive Barker. In California, he met members of the Wu-Tang Clan. He became the journalist/superhero, Wu-Man Chu. He inducts everyone into his hall of fame, “Supreme Clientele”. His goal is to write 150 articles in select time zones. He is the founder and co-host of No Cover Podcast.